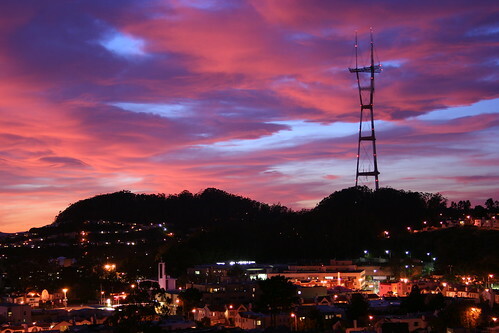 Sutro Tower at Sunset, originally uploaded by engnr_chik. One of my favorite photos. I took this from my deck soon after getting my Canon Rebel Xt. I think that was about 2 years ago, and I don’t think the sky has looked anything like this since. ~ by Joanne on September 16, 2009. Beautiful sky. Creepy Sutro Tower.